With the holidays fast approaching we are adding a new section to Fuel Goodness, “Holidays” is where you’ll be able to find individualized Gift Guides for everyone on your list, holiday cooking and baking recipes, DIY gift ideas and lifestyle tips to stay calm, cool and collected all season long! 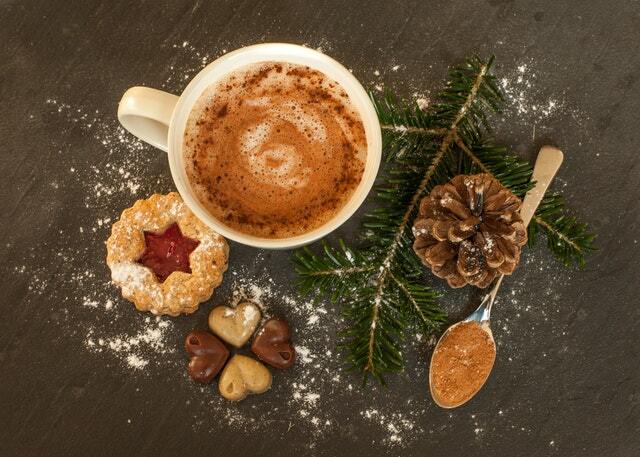 So without further adieu, here is the perfect gift guide for any foodie on your list. A curated collection of gift ideas sure to please everyone on your list. I’ve used, tested, and loved everything on these lists or I know people who have, it’s a complete personal collection of my favourites! If you are looking for a unique but useful and practical gift for anyone who loves to spend time in the kitchen, look no further than a beautiful mortar and pestle. I received my mortar and pestle as a gift and use it so often that I can’t imagine not having it! Now this is totally on my wish list for Christmas and anyone who receives one of these beauties is one lucky person! This braiser can be stovetop and in the oven, it is so beautiful that if is oven to table making any one pot dinner wonderfully stylish. 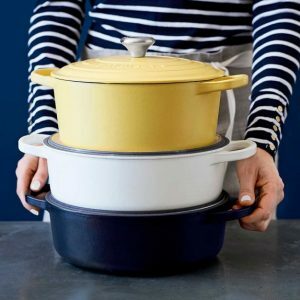 I love the matte finish of these dutch ovens by Le Creuset and any colour you choose will be a hit! Recipe Box – Rifle and Co. If there is anyone on your list who hoards magazines just for a recipe or two or keeps all the recipes passed down from their friends and family, then they need a system and what better way to keep track of everything and organize recipes than a recipe box. With Rifle and Co. practical gets a pretty make over so it hang out on the counter as an accessory! Photo courtesy of Rifle and Co. The perfect gift for the baker, a beautiful set of insta-worthy measuring spoons. 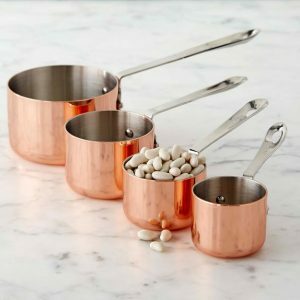 With these beauties, you’ll be getting batches of baked goods, just becuase they are so pretty, that these measuring spoons need to be used! 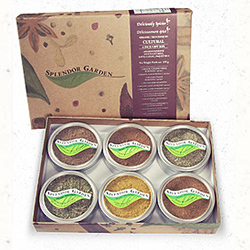 These spice mixes are delicious and make for absolutely great stocking stuffers! Give the foodie on your list the Mexican Spice Blend, Herbs de Provence, BBQ Rub, and All Purpose Blend and they’ll invite you over for dinner to show-off their creations! Always look for organic spices to ensure they have their full flavour potential and health benefits, and to ensure they haven’t been irradiated! Ghee is clarified butter and has been used for centuries in Ayurvedic traditions. It is an incredible source of high quality fat and is heat stable, so perfect for cooking. 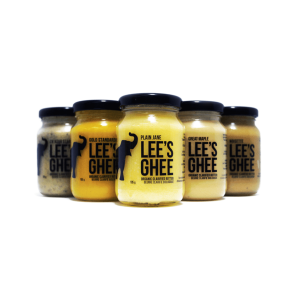 Lee’s Ghee is a small Toronto based company, specializing in unique and delicious flavours of certified organic ghee. This is the perfect jar of goodness for any foodie on your list!